Hit the water with the best selection and best prices on kayaks, canoes, SUPs, whitewater rafts and water sports equipment in Kalispell and Whitefish! Northwest Montana offers a paradise of rivers, streams, lakes and reservoirs for floating, fishing, swimming and sight seeing. Flathead Lake is the largest freshwater lake west of the Mississippi. Whitefish Lake offers fabulous watersports opportunities and you can travel for days on Hungry Horse Reservoir, surrounded by mountain peaks and forests. There are rivers large and small providing everything from calm floating water to heart-pounding whitewater rapids. If you need some inside info on where to go, just ask one of our in-house paddlers! Water enthusiasts from Kalispell and Whitefish can shop for kayaks, stand up paddleboards and canoes from Hobie, Emotion, Bote, Old Town, and Tahoe; whitewater rafts and paddling gear from NRS, Bending Branches, Kialoa and more. Cool fun under a hot sun for the entire family means water skis, wakeboards, kneeboards, tow tubes, and pool toys from brands like H.O. Sports, Ronix, Hyperlite, Liquid Force, Intex and others. 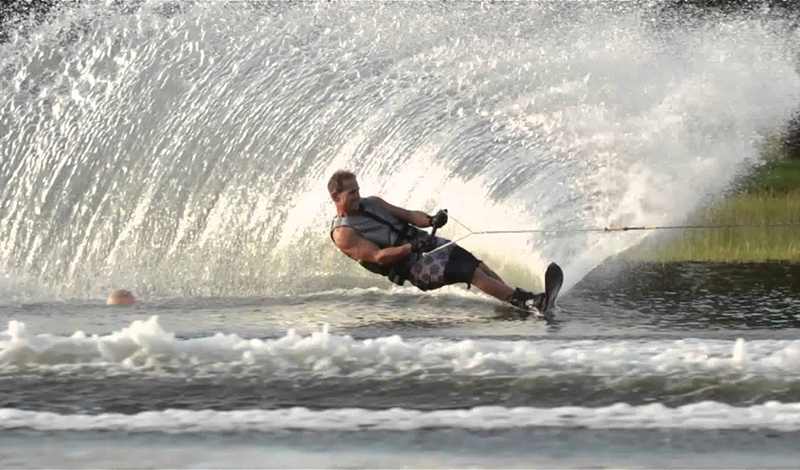 We offer complete watersports sales, rentals and demos. Try before you buy with our demo program. Apply up to three demo charges toward your purchase! We also carry Thule and Yakima rack systems. Our technicians will install them on your vehicle at no extra charge! Remember, if you purchase an oversize item and need help getting it home, we deliver free throughout the greater Flathead Valley area. We price match identical, new items whether in-store or online plus we stand behind everything we sell above and beyond the manufacturer's guarantee. Shop for all your watersports accessories . . . flotation vests, sunglasses from Oakley, Smith, Suncloud, Maui Jim and more , sunscreen, snorkeling gear, paddles, dry bags, swimwear for men, women and kids . . . everything under the sun for your days (and nights!) on the water. Find out about our Sunglasses.